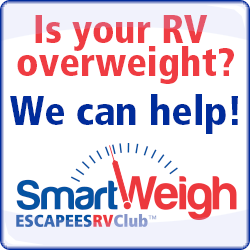 How many years on average do you keep your current RV? A few people have stated that "no one" keeps their RV for 20 years? What if you did? It might be the best long term value? Everytime you trade up for a new or newer "late model" you have sales tax, extra expenses and maybe new finance charges? Why not just use that money towards repairs and maintenance? In almost all circumstances, it's less expensive to just fix your current RV? A great reason to trade up is for enchanced features..
Is everything in your life just about the money? NO, otherwise, I would have never purchased an RV. My point is that we have double expenses than someone who is full time in their RV. Are you really a full time person? I also noticed that you wrote that you like national and state parks...we do as well when we can stay there... with the senior discount, our cost per day drops a lot. I'm retired on a fixed income and and yes, I am concerned about the total cost. Failure to plan is a plan to fail...... I try to forecast these things for a reason... maybe you are independently well off and don't have to be concerned about this. If so, congratulations.... you are smarter than me. Lots of variables on how long to hold onto an RV, and for sure many will have personal reasons that will differ from others:)! We plan (Which may change.) to hold onto our coach for 20 years, or until we grew tired of RV'ing or health changes our thinking. We bought a solid coach to start with, and have made modifications, still have a short list of items to go, to our liking. We don't full-time, but go out for 7-8 months a year. As with I suspect most Escapees, we take a serious approach to coach maintenance, hoping it will extend the safe usage coach. I said our plan may change, and that is only because I may shift to a stacker trailer behind us. If we do that, I'll get a different 40-42' coach with a larger engine. And then make my BIL a deal for our coach. And start the modification process again on the new coach. I'd say the odds are in 11 years (We've had our coach just about 9 years now. ), we'll still have this current coach.) For now, we both really enjoy being out and about, and seeing so much of this country and Canada too. We've talked about in the future, going to a smaller coach of some kind to continue shorter travels. But we'll see what we do at that time. Another factor for us, is we like how many Escapees do the two or three 'bases' for different times of years weather. We're on the waiting list for Evergreen Coop, and as we travel we scout out southern bases in AZ, NM and NV. We have a Vacation Home in San Diego, which for family reasons we'll probably retain, but we do not see it as our forever home. (It has a 1100 Granny Flat, and we're thinking maybe rent the front lower house out, and retain the Granny Flat for our San Diego visits. But for now, my DW's Mother is living in the home and she is welcome to stay as long as she is able to:)!). One other comment that I heard while in a campground a few years ago. Two gents were talking, and one of them had just placed his Grand Teton fiver on a site in a park for a base in Nevada. He and his wife had bought a gently used two slide mid size Foretravel, and were using that for their now less frequent travels. He'd sold his large tow vehicle for the Teton, and he and the DW were enjoying scooting around in a convertible Saab. So not sure how that fits into the question about 'How long to hold on?'. They retained the Grand Teton, but no longer will be traveling in it. It's their stay in place main home now:)! We bought our first 5th wheel (new) in 1987, it was a Hitchhiker II. We had it for 11 years before we traded for a 1998 HH II that we had until we bought a new 2001 HH Premier in 02, we didn't like the 02 floor plan after spending some time staying in it so we ordered our present 03 HH Premier. We've owned this trailer for 16 years and plan on it being our last so 20 years and past is our plan. We've upgraded a few things like disk brakes and repaired and replaced many more but it's way cheaper to fix than replace than buy a new one every few years. The first thing you have to do is buy I high quality trailer to begin with and in todays world I think that's easyer said than done. I also do all the work myself so that also makes ownership for a long period cheaper. We don't fulltime but for the last 13 years we have spent 7 to 11 months in the trailer traveling. Thanks Smitty, great story.... how old are you? I'm 67, and figure I have at least 15 really good years left for going out on the road.... after that we'll see...no one can predict the future...one of my best friends just passed away last fall at 66... tragedy, short illness and gone, never retired..... At least I retired early... glad for that. Mine was a five year old coach... with low mileage.... every situation is different. Yes, stay safe in your travels.... sounds like you purchased your rig brand new? Thanks for this information.. actually, this sounds pretty "full time" to me. The﻿ first thing you have to do is buy I high quality trailer to begin with and in todays world﻿ ﻿I think that's easyer said than don﻿e﻿. I don't really want to own another trailer...we had a cute little teardrop ...made of fiberglass composite , very lightweight, we took it on many trips.....it was fun, but, a lot more work than the van. My teardrop was small, but, it was very nicely finished. 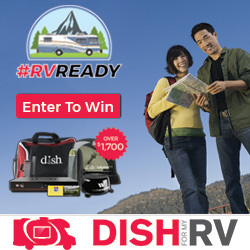 All of your experience is as a vacationer in a RV. Most fulltimers don't go out to eat every day - - they have their home with them and do what you do at home, like cook meals. $50/night - not likely. We do that for very special occasions for a short period of time. Most of the summer our nightly costs are in the 7-10 range (including prorated dues) because we make good use of our memberships. Our toad gets 40+ mph (it's a hybrid) so sight seeing doesn't cost much. Geocaching is a great way to get out and see and area and the costs are a little gas and some good physical exercise. You can't take your experience as a vacationeer and think that you can use that as the basis for calculating a fulltimers expenses. You don't want to full time - - we all get that. No one said you have to. What we all can't figure out is why this ongoing need to try and shame fulltimers over money? I just turned 66, DW is 60, we retired in 2014. And I'll X's 3 Barb's comment:)! 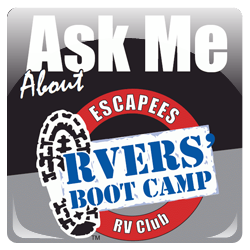 For a simple answer to your question, I average about 7 years per RV. I'm two years into my current 5er and if my DW has her way this will be our last one (not because she doesn't like it or wants to stop RVing, but because she hates spending money). I on the other hand am always planning for the next one - what I would change, tweak, etc. the next time around. I am very happy with our current 5er and have very little I would change about it. I would actually like to design and buy a custom 5er after we retire so I can get everything exactly the way I want it. This would slow my desire to plan for the next one if I could get the current one exactly as I wanted it. If I can make that happen, that very well may be the last RV we ever buy. We will be pretty young (comparatively) when we retire (early 50's) so it may not actually last us until we are done RVing, but that would be a good problem to have by then. Well, a 40 footer is a pretty large RV... probably a DP? Enjoy. First RV was used and kept 2 seasons. Second RV was new and kept for 9 years. Third RV was used and kept 7 years. Fourth RV was used and kept 9 years. Fifth RV was new and kept 14 years. Sixth RV was new and so far has been ours for 7 years. I'm﻿﻿ two years into my current 5er and if my DW has her way this will be our last one (n﻿o﻿t becaus﻿e she doesn't like it or wants to stop RVing, but because she hates spendi﻿﻿n﻿g mone﻿﻿﻿y﻿﻿﻿). I understand...a lot of people are upset with me because I happen to agree with this. Right now, we're keeping the RV.... but, at some point... I want to sell it before it requires a lot of extra money for repairs. I have to keep it for now to get more use out of it considering all the money I invested to get it exactly how I wanted it . Those of us who are "part time" have an entirely different view of this from full timers. When I hear people tell me that they spent $7-$10 per night all I can think of is BLM land....We stayed at a beautiful BLM campground near Arches National Park for $7.50....it was fantastic.... BUT, I've found that the normal rate even for a state park is around $45-$50 with power....and in some locations.. we've paid $75 per night.... it's all about location. NO...I'm not beating up "full timers" about money... I appreciate a good price like all of you... I have a senior NP pass ...and AARP, AAA , Good Sam, etc. I'm happy to take any discount we're entitled to.... I just find it hard to believe that you can pay $10 per night mostly everywhere you go. I don't know... maybe you are fine parking at roadside places with no fee, boon docking or at the truck stops... doesn't work for us. When I purchased the little Class B....( by the way Class B doesn't mean 2nd class), I never said that I wouldn't go out to eat or occasionally stay in hotels. Yeah, we've done this too. Being away from home, our primary residence, is stressful and my personal safety is way too important to take any unnecessary risks. So, yeah... I'm concerned about money...it's an expensive luxury to own an RV...it is a vacation thing... we're not work campers. Third RV was used and kept 9 years. Fourth RV was new and kept 14 years. Fifth RV was new and so far has been ours for 7 years. Kirk, thank you...you mentioned your third RV twice? Did you mean to do that...Are you on your 6th RV now...? That's 48 years? How much did all of these cost you with the trade in value and new prices and sales tax? you mentioned your third RV twice? OK..6 RV's.. How much money did think all of this cost you everytime you traded up even all the associated expenses for getting a new one... sales tax...etc.? It's like purchasing 6 small houses? Not the same as buying and selling houses. Everyone has to make these decisions for themselves. Not everyone makes money selling houses. In fact, most don’t even know what the true costs of home ownership are. FWIW, we purchased our rig used in 2005. We still have it. We will keep her until we hang up the keys. Buy a house. Spend $20K updating the kitchen. $10K updating the bathroom. $20K replacing the roof. $8K replacing the A/C. $5K painting the exterior. Whatever to replace the water heater. Some of these costs happen every 10 - 15 years, depending on one's tastes. Of course, the initial purchase price varies, as do the costs of the other expenses, but if anyone thinks owning a home is a good deal, prove it. When I hear people tell me that they spent $7-$10 per night all I can think of is BLM land...I just find it hard to believe that you can pay $10 per night mostly everywhere you go. I don't know... maybe you are fine parking at roadside places with no fee, boon docking or at the truck stops... doesn't work for us. Barb's $7-10 a night is not boondocking by any means. It means she bought a membership that was right for them at a good price. They stay mostly in full service Thousand Trails parks out west. Once again, your lack of knowledge and your rush to judgement shows. Then there's the price of the membership. I know about 1000 Trails... I'm not impressed. Now all these HiFi components, speakers, turn tables, DAC's, tube's for rolling, zip cord wire up to - well - more expensive wires and connects, Richard Gray power conditioners, streaming devices, etc, etc. And many times a Buyer and Seller on Audiogon over the years as I'd try out new equipment - and rotate in different speakers and or tubes. ALL OF THESE, are not a 'Financial Investment', these are an 'Investment in my health.' This relaxes me, it takes my mind off of things. I do not justify it to anyone, well - my DW and I have an agreement on how I 'fund' this hobby of 25-30 years. And it works for both of us. But even when I find a gem of an item at a good price, play with it for awhile, and then sell it for a profit - IT's NOT ABOUT THE MONEY. Coming back to your thinking about RV'ing. 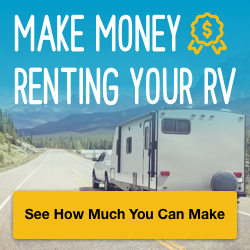 Cost of replacing and or modifying RV's. Cost of going out and camping anyway any of us care to do so. Cost of memberships to anything we may care to join. Well, RV'ing to many of us is the same way. IT's NOT ABOUT THE MONEY. It's about our choices, and we're entitled to make those choices. You are entitled to make different choices, disagree with our choices - but, you're not entitled to tell any of us that we've made 'bad choices'. And that is the way your responses have seemed to be. Full Timer, Non Full Timer, Many Months A Year Time, Boon Docker Timer, Resort to Resort Timer, New RV Every Few Years Timer, Buy and Keep and Upgrade Timer... Whatever, it's our choices. ...I've found that the normal rate even for a state park is around $45-$50 with power....and in some locations.. we've paid $75 per night.... it's all about location. Why don't you go right ahead and let us know what does impress you about the RV lifestyle? Each time you post a topic I think "Here we go again". You generally start with what seems like an innocuous question, but within a few posts wrap it back to how expensive RV'ing is, what a lousy "investment" it is, etc. 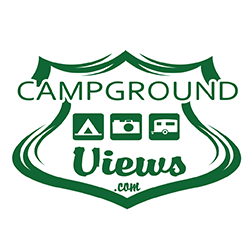 You mention that it is an expensive luxury to own an RV, but each time you get the response that folks on this board are completely satisfied with the choices they've made and totally aware of the costs. And so much of your information is just flat wrong. The normal rate of a state park campsite with power is $45 to $50. What?? We're entering our 10th year of full-timing and have yet to stay in a state park that charged that much.